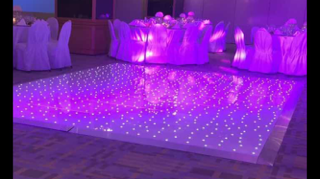 A LED dance floor literally transforms even the dullest of venues. Shut off all the lights and let the floor take over. Creates a stunning centrepiece to excite your guests and guaranteed to give them that ‘saturday night fever’ feeling inviting them to get on the dancefloor and ‘strut their funky stuff’.